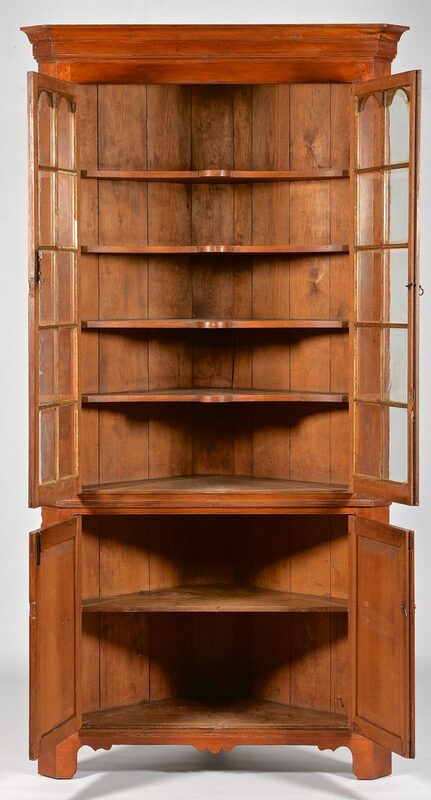 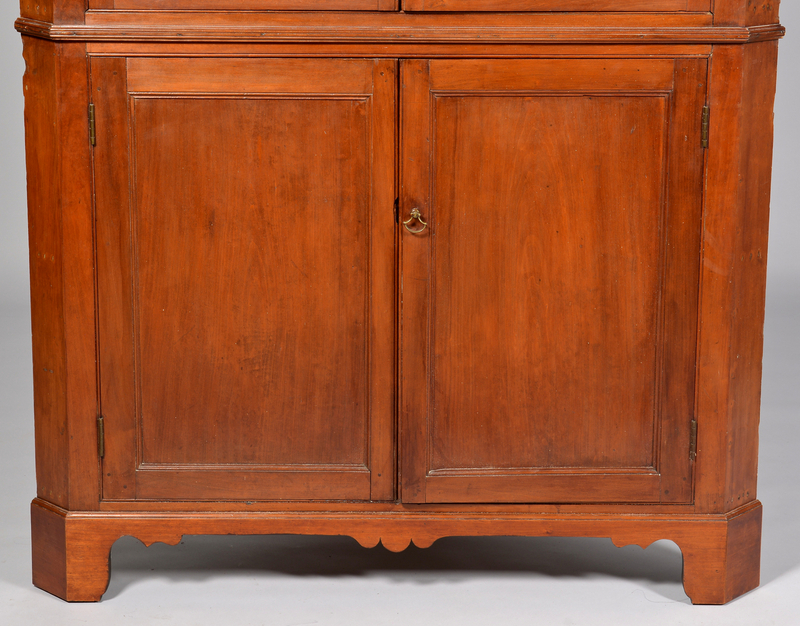 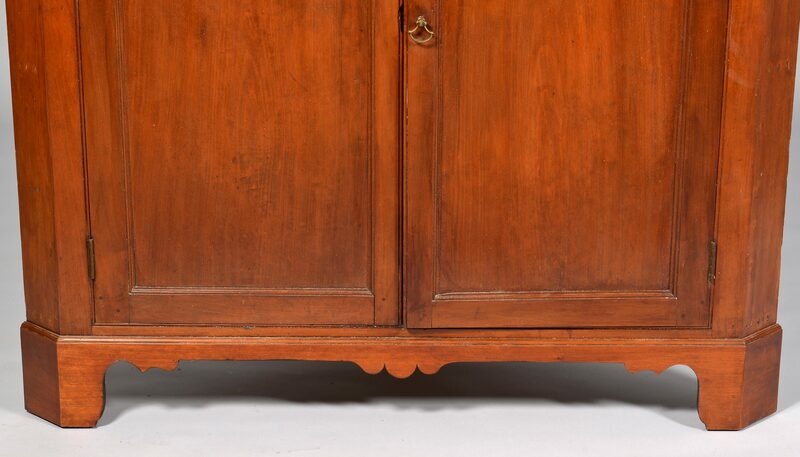 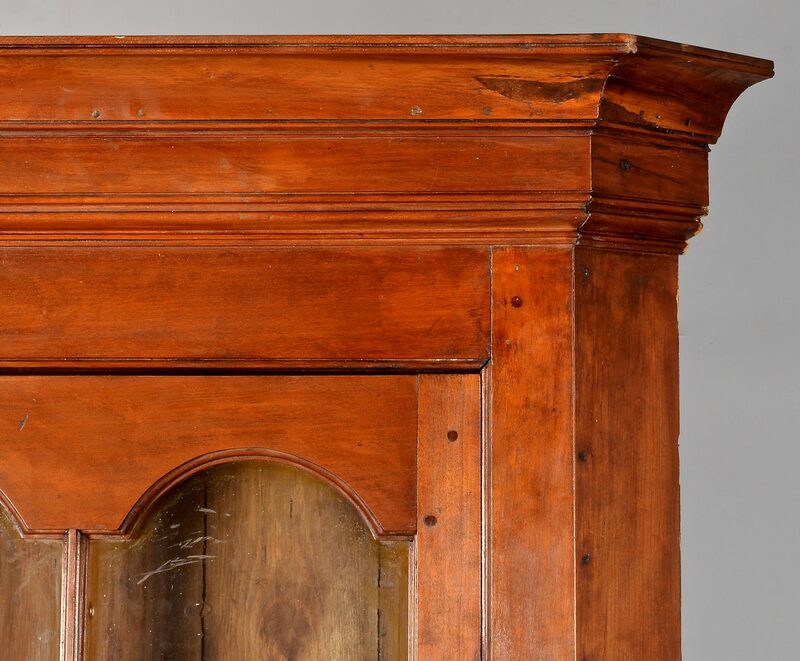 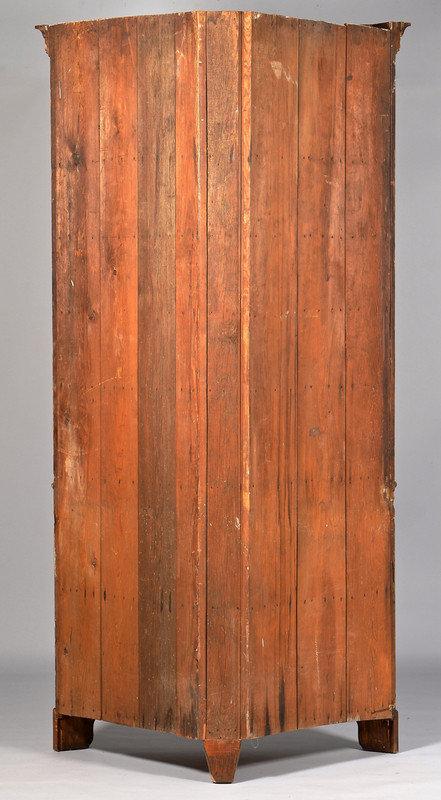 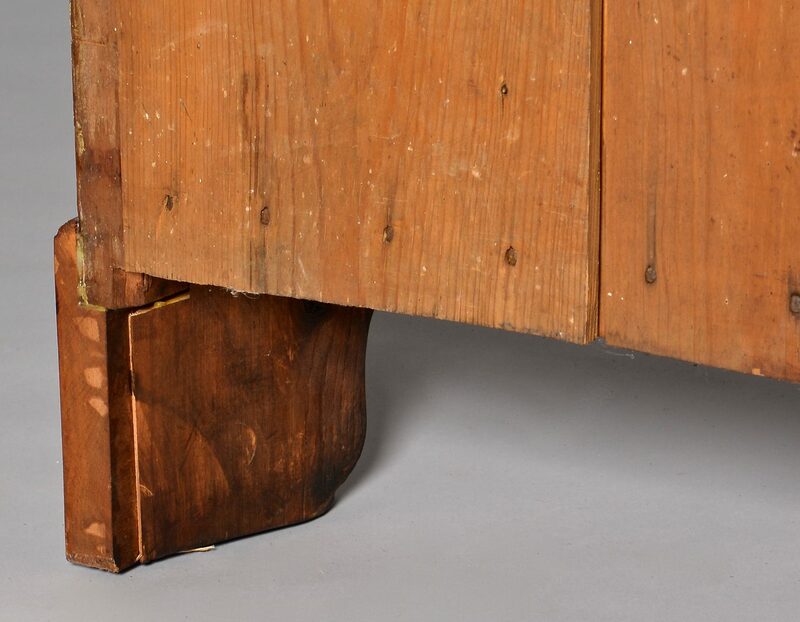 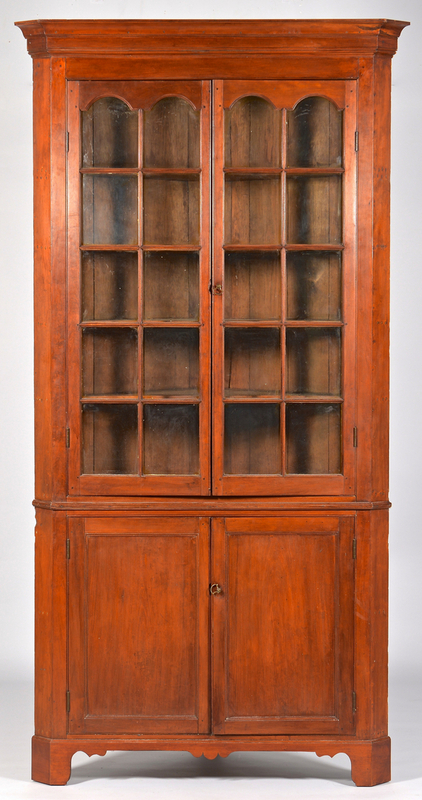 Southern, possibly NC, cherry corner cupboard, pine secondary (possibly yellow pine), two-piece construction, upper case having a stepped ogee cornice over two double arched doors with total of 20 panes and interior shaped shelves; base with two blind doors on bracket feet with shaped skirt. 102 1/8"H x 48 1/8"W x 26"D. Circa 1800. 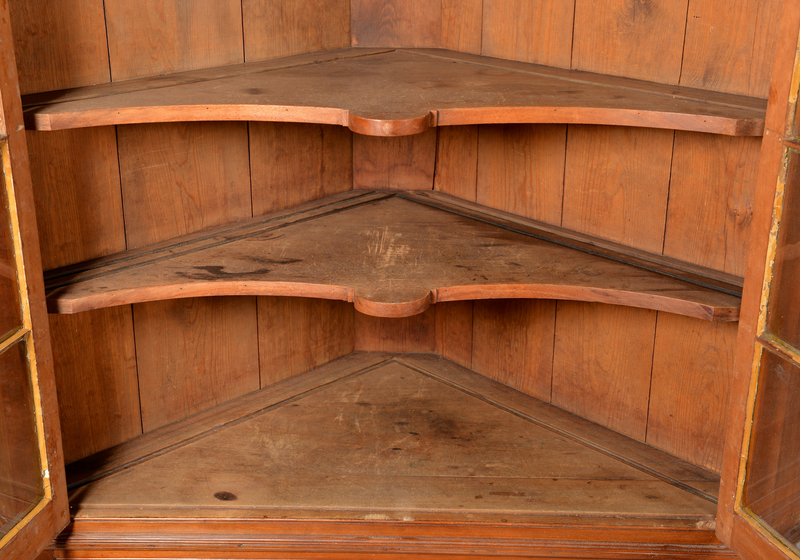 CONDITION: Base molding and feet are later replacements (height of cupboard suggests it may never have had a base). 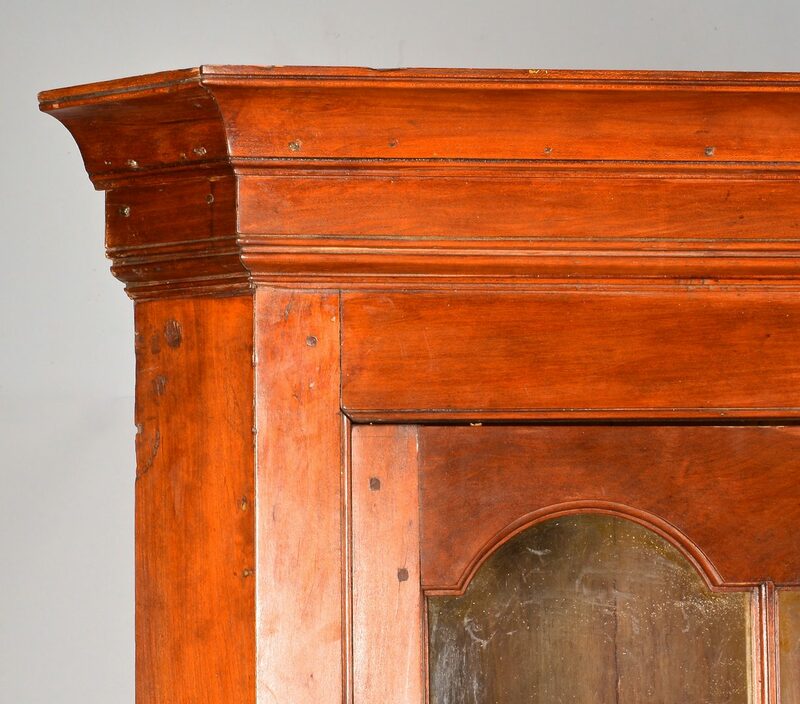 Old refinish.